JazzErie is driven by a wide range of volunteers. Below are our current officers, board members, committee chairs and active volunteers. We were guided by world-renowned luminaries of the jazz world when we began, listed in our original Advisory Board. We'd like to thank each of them for their generosity. Allen Zurcher, D.F.A., President, is a full time musician living in Erie. 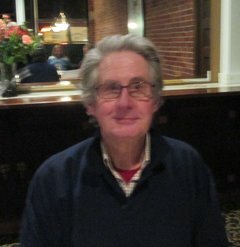 He has had a wide and varied experience in his thirty years as a professional musician, composer, arranger and educator. 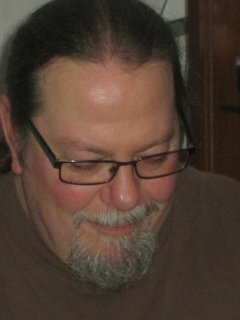 Current musical projects include leading his own quartet, AZQ (recently featured in a JazzErie concert Jazz & Dance), serving as musical director and arranger for the Misery Bay Big Band, leader of the Presque Isle Saxophone Quartet and as a sideman in other area bands including the Bluesbeaters. 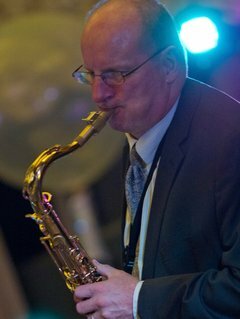 Allen has performed with the Erie Philharmonic and the Youngstown Philharmonic orchestras, and has performed with well known entertainers including Manhatten Transfer, Bryan Lynch, Conrad Herwig, Clark Terry, Don Menza and Diane Carroll. He has served as music director and bandleader for Premier and Princess Cruise Lines. 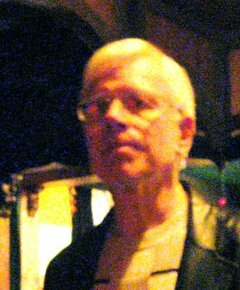 He can be heard on recordings Waiting in the Alley (2001) with Andy Nevala), For The Last Time (2001) with the University of Northern Colorado Jazz Lab, and Armed and Dangerous (2008) with One World Tribe. 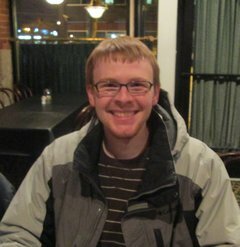 As an educator, Allen teaches music appreciation at Gannon Univeersity and jazz studies at Mercyhurst University. He co-leads Jazz for Young Ears, JazzErie's in-school clinics for area elementary and middle school students, and gives private lessons for young and adult students. In prior years he has taught at Allegheny College and Southeastern Louisiana University. Rich Giardina, Treasurer, has been a resident of Erie since 1965. He earned a B.A. in Sociology and an M.A. in Mechanical Engineering from Gannon University. He is Engineering Manager at Heatron, Inc. in Erie, and has been managing a technical group there for 20+ years. He has a 38-year career in technical manufacturing, including securing multiple patents. Rich has been a JazzErie Board member for 5+ years, and has served as Treasurer for 4+ years. He is a fervent supporter of the arts in Erie, including sponsoring individual events at the Erie Art Museum. Ted Ely, a JazzErie past President, was born in Erie, returning in 1972. Earning his J.D. degree form Duquesne University, he has worked as an attorney for 41 years, much of it with the firm of Shapira, Hutzelman, Berlin, Ely, Smith & Walsh. He retired from practice last Oct.
Ted is a member of the Erie Art Museum Board of Directors, the Erie Philharmonic Board of Governors, and the Presque Isle Rotary Club, where he is a past President. He has served on JazzErie’s Board for 7+ years, and is a past President and Vice President. Jim Cuneo is a practicing musician in the Erie region. He holds a B>A> degree in music performance and composition from Mercyhurst University. He also studied with Basil Ronzitti. He currently plays keyboards for the Blues Beaters Band, has a one-man show in which he plays piano and sings, has been a songwriter , singer and instrumentalist in Blood Pudding, Magoo, Zebra Mussels and the Lake Erie Monsters bands. Jimmy also teaches private students. Jim chairs JazzErie's Performance Committee, which is responsible for selection securing and managing performances by visiting and regional artists who appear on JazzErie's schedule. Jimmy and his wife Lori Cuneo also serve as Co-Chairs for JazzErie’s Membership Committee. 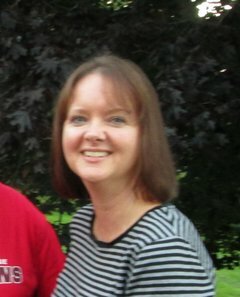 Lori Cuneo is Co-Chair of JazzErie's Membership Committee, keeping membership data up to date and developing and promoting activities which will stimulate people to join JazzErie. She was an active participant in the management of JazzErie's recent "Music at the Mansion' party, along with Board Member Mary Jane Hand, a recent very successful event expressing appreciation to JazzErie members for their support. Lori has taken an active role in reaching out to the community through publicity, maintaining an engaging presence at JazzErie events, and other outreach activitiies. Mary Jane Hand is a recently retired educator, with Bachelor and Master’s degrees in education. She worked for many years as a Learning Support teacher and Supervisor of Special Education at Intermediate Unit 9 in Smithport, PA. Before that she worked in the Bradford area. 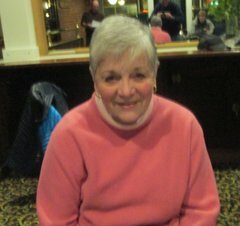 She is a member of the Women’s Club of Erie, serving as Ways & Means Chair. Mary Jane is Chair of JazzErie’s Publicity Committee. Ed Goebel, Development Chair, has lived in Erie since 1966. He earned his J.D. at Georgetown University in Washington, D.C., served as an attorney for G.E. for four years, then joined the firm of McDonald, Illig, Jones and Britton, LLP in 1970 where he has remained. He is currently in semi-retirement. Ed and his wife Rita have been active members of the National Alliance for the Mentally Ill since 1986. 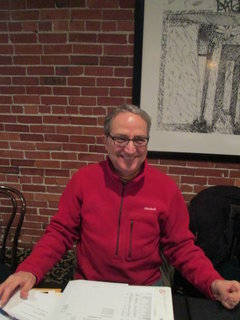 Ed has served on the state and national Board of Directors for that organization, and was President of the Erie Board. He has also served on the Board of Case Management Support Services, and as Co-Chair of the Family Committee, PA Psychiatric Leadership Council. Since 1971, Ed has served on the Community Country Day School Board, and is currently Vice President. He has served on the Hamot Hospital Institutional Review Board for 15 years, has been Counsel to the Board of Directors for Housing & Neighborhood Development Services, and has engaged in many other civic organizations and political activities. Ed has served on JazzErie’s Board of Directors since 1994, is a past President and Vice President and is currently Development Chair. He has worked closely with community jazz fan Nick Scott on such projects as the Dave Brubeck Concert, and two JazzErie Jazz Cruises on Scott’s Erie-based yacht. Rob Hoff, Ph.D. Rob was born in the New York area, earned hi Ph.D. in Psychology from the University of Minnesota, taught at the Univ. of Minnesota and Kent State University, also working at the American Museum of Natural History, before coming to Erie to head the Psychology Department at Mercyhurst University, where he administers a $300,000 budget.. Rob is best known to Erie jazz fans as the host of an evening jazz program on WQLN, where he has been an on-air volunteer since 1973. His current program is “Night Flight,” which airs four evenings a week from 9-11 p.m. Rob has also served on the Erie Philharmonic Board of Governors since 1981, and served for four years of the Pennsylvania Council on the Arts Review Panel, reviewing over 200 applications for funding. It was during Rob’s tenure that the Council approved Bruce Morton Wright’s application to fund the Erie Chamber Orchestra. Rob serves on JazzErie’s Performance Committee, and was a key JazzErie representative on the Mercyhurst D’Angelo Center’s committee during the 2013/2014 Season in selecting jazz performance artists for that season. Beth and Mark both play with Misery Bay Big band. Beth primarily plays alto in the band and Mark play bass trombone. He is also the musical director and lead trombone of the Trinity Music Group out of Pittsburgh PA, and Beth is the lead alto in that group as well. 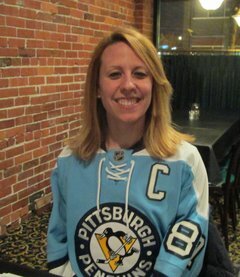 She also is a member of The Presque Isle Saxophone Quartet. on alto sazophone, and the Trinity Music Group.. The Dresslers both got their undergraduate degrees from Slippery Rock University. Mark graduated with a Music Performance degree and Beth graduated with a Music Education degree. Beth went onto grad school at The University of Miami where she graduated with her Masters in Jazz Pedagogy. You can hear her on the Slippery Rock University Ensemble's 2006 CD "Crossing Borders." Beth and Mark are both currently pursuing musical opportunities as well as working their day jobs. Mark is also an executive board member of the American Federation of Musicians Local No. 17, in Erie. The couple's role with JazzErie includes expanding the organization's social media presence. The are already maintaining an active JazzErie Facebook page, and are addressing website and other media to help keep jazz and JazzErie before the public's eyes and ears. Charles Lute, also a music educator, holds a Master of Music degree and has been a JazzErie Board member for eight years. He served for many years as a teacher of instrumental music at Collegiate Academy in Erie, where he fostered an excellent series of student jazz bands. 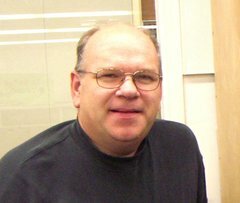 Now retired from full time teaching, Chuck continues to work as an Instructor at Edinboro University, where he dirrects the Marching Band and Highland Drumming. As Co-Chair of JazzErie’s Education Committee, Chuck has worked with John Marszalek to maintain the Next Generation concert series. He also administers the JazzErie scholarship, a $1,000 grant given each year to a graduating high school senior who is enrolled in a college music program, and has demonstrated unusual interest and talent in jazz music. 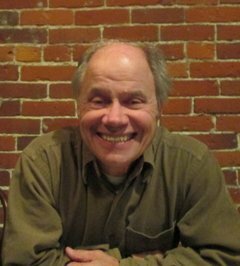 John Marszalekretired this summer from his position as bend director, MccLean High School. John earned his B.A. in Music Education from Edinboro University, and spent most of his 39 year career teaching at Gen. McLane H.S. in Edinboro. John was a key figure in organizing early District Jazz Festivals, now a statewide program bringing together student jazz bands each year in a number of Districts across PA. He was also a key organizer for the District Marching Band Festival, another annual event. As a JazzErie Education Committee member, John, along with fellow Board member Chuck Lute (then Band Director at Collegiate Academy), initiated JazzErie’s “Next Generation” concerts. These concerts bring together area high school jazz ensembles and regional professional jazz musicians for a public concert, giving students a chance to show their skills and learn from the pros. Five years ago a Jazz Erie All-Star Band, composed of high school student players from a number of area schools, traveled to Europe and played at the Montreaux International Jazz Festival in Switzerland.